Hello hello! Another Digit-al Dozen week has come to a close, and today's look is doing double duty! I decided to do a freehanded candy cane across all my nails both for my last DD fill and also as my first fill with Nail Crazies Unite! I had a lot of fun drawing this piece of candy on my nails, and I have to say I'd forgotten how relaxing focusing on freehand work can be! Definitely gotta do more of that in the future. :) Maybe it can be a resolution for 2017? I knew I wanted a background with a bit of personality so I decided to go with a smoosh marble, and then added some glitter here and there for an extra little something. The candy cane was done fully in acrylic paints. I'm definitely content with how this look turned out, even if my pictures suffer from a little bit of lobster-hand. Ah well! It was super fun to draw, and didn't take nearly as long as I was worried it was! 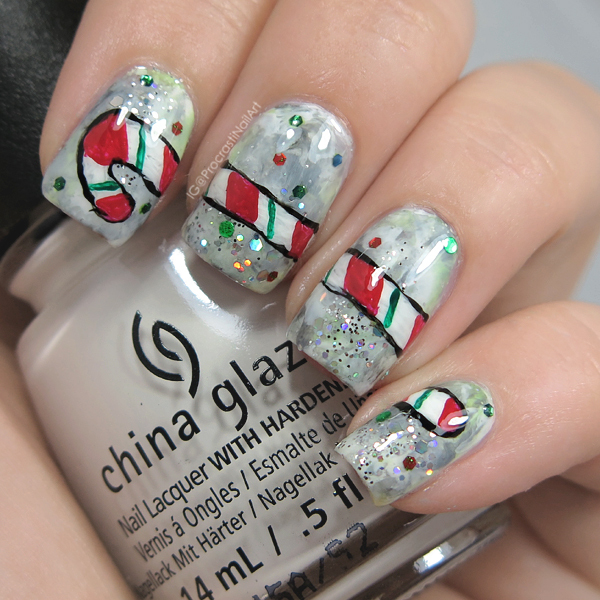 The freehanded candy cane is nice. 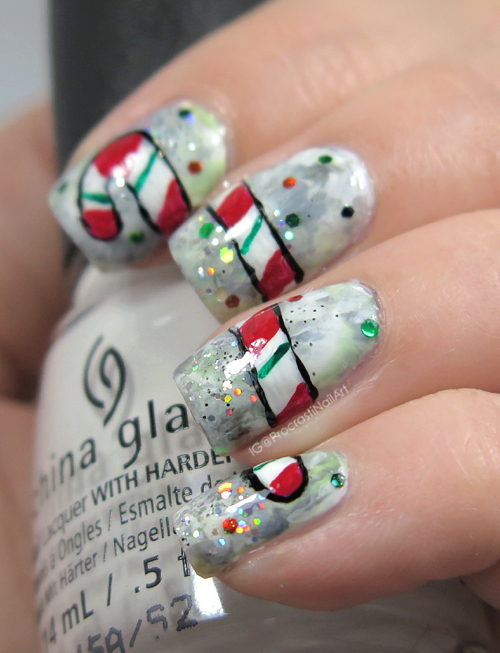 That smoosh marble was the perfect back ground, and I'm so glad you did the two toned candy cane! You rarely see the red and green ones in nail art. This is super cute! I've always wanted yo do a mani that spanned across my nails but am too worried about getting things to line up. You did a great job with yours. Ohhh, I love the base that you created for this!! 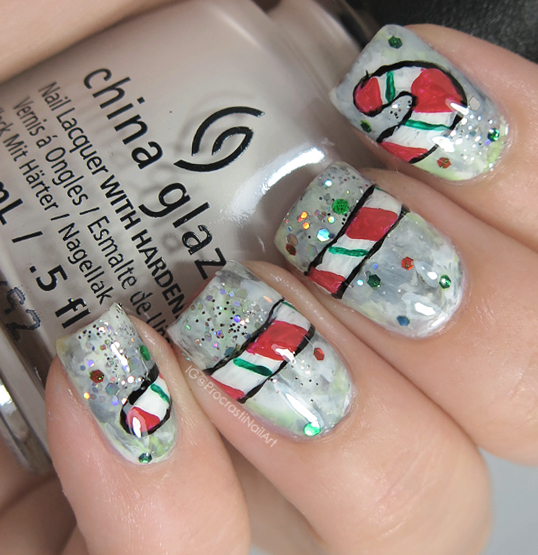 It is so cute how you extended the candy cane across your nails! I've always wanted to do a mani that spreads across all 4 fingers but it makes me terribly nervous. You did a great job on this mani.